Shadowlands is a contemporary, so of course I wasn't totally sold on the idea of reading it. I mean, ok, yes, there's a serial killer on the loose, and witness protection, and other tense stuff. But I wondered if that was going to be enough to keep me hooked. But I had nothing to fear because Shadowlands kept me hooked from page one straight through to the gut-punching end. Shadowlands starts out with a bang, wasting no time in throwing you in right as Rory is getting attacked. That's my kind of book. Tension is kept decently high in the beginning as Rory's family deals with the police and they discover just how involved the killer was in their life (super creepy). And then the witness protection part started. I know how much Ruby loves witness protection stories, so it's hard to admit this but I sometimes struggle with them. I know there's usually something that shatters the safety of the program (so, yay action), and I do love mentally playing with the idea of taking on a new identity, but it's the whole "protection" part of it that I don't like. I don't want my characters to be protected, all safe and snug in their new identity. I want them facing constant peril. So I was worried I'd start to doze off as soon as Rory and her family arrived at their quaint little island refuge. And I totally would have if it hadn't been for this mysterious something that simmered just beneath the surface. A lot of time is spent on Rory going to the island's parties and wondering which guy is more interested in Rory (because, of course, two of them are). Objectively, I didn't much care about any of this. I didn't get why either guy was interested in Rory, and neither guy was particularly appealing. But I still couldn't tear myself away. In this case, the fact that I didn't get why the guys were interested in her was actually intriguing. I got the feeling they were interested in her for some other reason. There was something going on in that little town and I couldn't shake the feeling that nothing was what it seemed. I was 100% committed to figuring out what was really going on. I would have loved Shadowlands when I was a tween/early teen. That was during my Lois Duncan phase and this book would have fit right in. Extra points would have been given for the startling ending I never would have predicted. But I'm not a teen anymore, and I've read enough books to have had a pretty good idea where everything would end. I had two major theories about where this was all heading, and one of them proved right (thankfully, the one I was hoping for. Seriously, I was crossing my fingers and praying they weren't a secret cult of vampires). That's ok though. Despite my theories, Kate Brian did a good job of dropping clues at just the right points to keep me hooked and guessing until the very end. The mystery hogged most of my attention, but Kate Brian does also spend a lot of time developing the relationships between Rory, her father, and her sister Darcy. 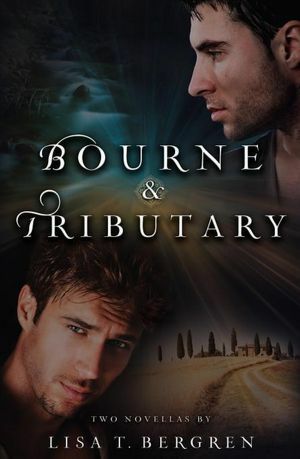 I was interested in seeing how each relationship deepened and changed through the course of the book. That might not sound like a ringing endorsement, but I'm a very issue-phobic reader (there was the specter of a dead mother here, and NOT the literal ghost kind! ), so coming from me that's pretty high praise. Shadowlands ends pretty neatly (though abruptly), with a few threads left dangling. When I finished the book I was under the impression it was a standalone and I was perfectly happy with how it ended. The ending again reminded me of the books I read as a teen when most books were standalones and not everything was wrapped up with a bow and a twenty page epilogue. But Shadowlands is not a standalone. It is part one of a trilogy (series? ), and I am kinda disappointed. I don't see where the series has to go at this point, but I'm curious to find out (especially in light of the Big Reveal at the end). Not personally, maybe, as I'm not sure I'll be tuning in for the sequel, but I'll at least read reviews to find out what direction it takes. But that's mostly because character building (these were pretty thin) and fantasies are more my thing. 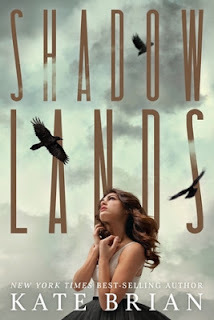 Fans of contemporary thrillers should enjoy Shadowlands (particularly readers who didn't spend their teen years marinating in Lois Duncan thrillers). The attractive cover, short chapters, and fast-paced mystery should make Shadowlands an appealing pick for YA readers. Do you have any questions about Shadowlands that I haven't addressed? After gobbling down the Goddess Girls series, I was eager to try Joan and Suzanne's latest MG Greek series, Heroes in Training. Of course, I wasn't let down! Whereas Goddess Girls are decidedly girl books, Heroes in Training will appeal to boys just as much as girls. There is definitely crossover between the two series with regard to audience age, but I think Heroes in Training dips into the younger end of MG a little more (which will delight the younger siblings of my Goddess Girls library girls who have found the Goddess Girls series tempting but a little above their level). Compared to Goddess Girls, Heroes in Training has shorter chapters and more straightforward focus on plot over character development. As a result, I didn't fall in love with the characters as much as I did with the Goddess Girls. Actually, I didn't even have much feelings for them one way or another. There's nothing wrong with them, but the plot definitely takes precedence. Which is totally fine. The intended audience really isn't looking or ready for complex character development. The plot is so fast and fun that it's easy to get swept up in the events of the story and focus on little else. The action starts right away and doesn't let up. Greek myths are more directly re-told than not, but all the slower bits are stripped away, diving straight into the action. It's like a lesson on Greek mythology, but told in a totally kid-friendly, cartoon-episode way. It's also pretty funny (love the oracle and her foggy glasses!). Book one, Zeus and the Thunderbolt of Doom, introduced readers to Zeus and set the stage for the coming battle against the Titans. 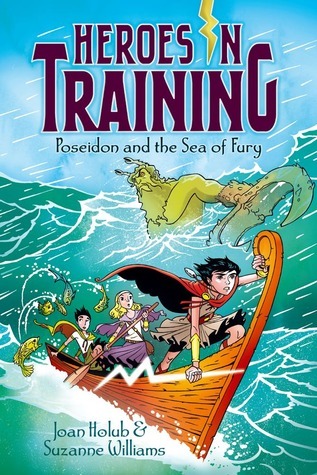 Poseidon and the Sea of Fury picks up right where book one left off but also introduces Hera and Poseidon. 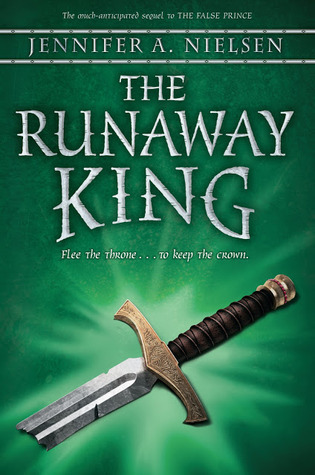 The character dynamics combined with Greek myth focus strongly reminded me of the Percy Jackson series (though this series is set IN the myths, whereas Percy Jackson was set in modern times). These vibes absolutely delighted me, because now I have a series I can give readers who desperately want to read Percy Jackson (their older siblings read it, they liked the movie) but they are too young to actually read those books on their own. 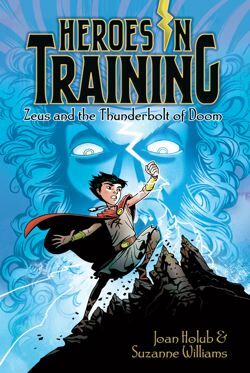 Heroes in Training fills the void perfectly and gives them a series that can be Just For Them until they're old enough to transition to Percy Jackson. Each book ends pretty much right in the middle of the story, giving a feeling more like a serialized novel than a more traditional series. I imagine this approach would frustrate readers immensely if installments were published once per year, but thankfully Heroes in Training seem to have a rapid publishing schedule with only a few months between each book. This should keep excitement high and will guarantee avid and frequent re-reads. Heroes in Training should be a solid purchase for libraries and personal libraries. Do you have any questions about Heroes in Training that I haven't addressed? 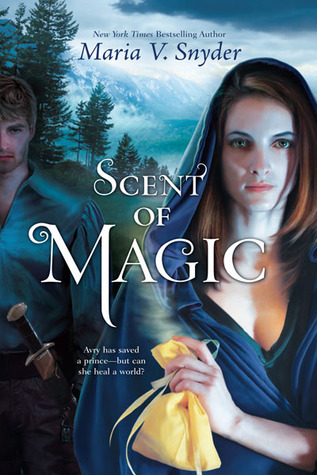 Falling in Love, baking a magical cake, fighting an evil necromancer—it’s all in a day’s work for Audrey Oliver, seventeen-year-old witch-in-training. When her mother goes missing and her twenty-one-year-old witchy cousin shows up out of the blue, Audrey knows something’s gone horribly, dangerously wrong. Now it’s up to her to get her own magical powers up to speed before everyone she loves is destroyed by the sorcerer intricately connected to her mother’s secret past. Audrey is my favorite type of main character: She's honest, real, a little insecure, not perfect, but her heart is in the right place and she always tries to do right by those she loves. Think girls like Gwen Frost from the Mythos Academy series or Mel from Crown Duel. I can instantly relate to this type of character. The secondary characters were, for the most part, just as good as Audrey. Her love interest easily falls into the category of "nice guy" and while I usually find this kind of guy a little bland and boring, Julian's persistence and adorable attempt at cooking totally won me over. 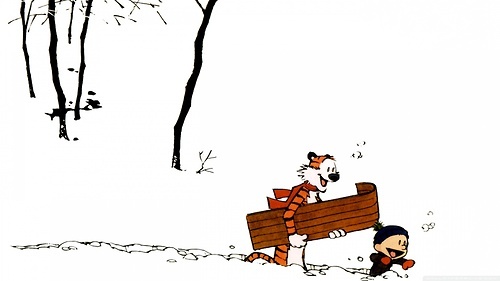 But romance isn't the only relationship explored. I love it when authors provide MCs with non-romantic relationships, and Jody totally delivered on this front. From Audrey's best friend to her cousin to her sister, each character is fully developed and their relationships with Audrey grow and deepen throughout the book. First time witches and magical mysteries! 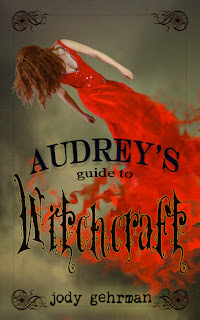 While I think the strength of Audrey's Guide to Witchcraft is more in the characters than plot, I did still like the plot (even if it is a little wandering). I'm a huge sucker for the "new witch learning about her powers" topic, and Jody Gehrman gave me pretty much everything I wanted on that front (except laugh out loud humor. I was really hoping for another basketball or closet scene). Another bonus were the witchy gadgets and spells Jody Gehrman introduced. There were a lot of, "That's so cool! I WANT IT!" things, which is half the reason I love reading books like this in the first place. 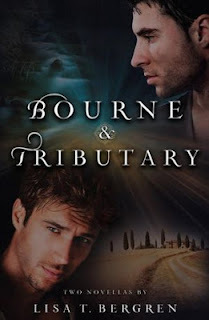 While Audrey's learning what it means to be a witch and exploring her budding romance with Julian, she's also engaging in some detective work. *sigh* I love a character who sleuths. Audrey has a few mysteries on her plate and following along as she pieced together the clues was a lot of fun (even if a few points were kinda obvious). Cackling evil villain. I had a feeling this was coming, but the final climax confirmed all my suspicions. The villain had very little depth and while they had an explanation for their behavior, it still pretty much added up to, "Because I'm evil!" and that was a total bummer. I was doubly let down considering how well Jody developed her other characters. But that's ok. Maybe it's because I'm a big fantasy fan, but I've learned to brush off mediocre villain reveals as long as the journey is worthwhile. And I definitely enjoyed the journey here. I will for sure continue with Audrey's journey in the next book. I have a feeling this series is going to be another comfort read for me, and while those books aren't necessarily mind-blowing, they're always good to kick back and relax with. I'm a character girl, and these are characters I can easily spend more time with. The big showdown happened and everything was wrapped up mostly ok, but there are definitely a few major loose ends left dangling. I don't think it's a rip-you-hair-out cliffhanger though, and the plot is simple enough that I'm not too worried about forgetting major plot points by the time the sequel comes out. I don't think it's necessary to hold off on reading until all the books in the series have been published. Added bonus? There are recipes in this book! 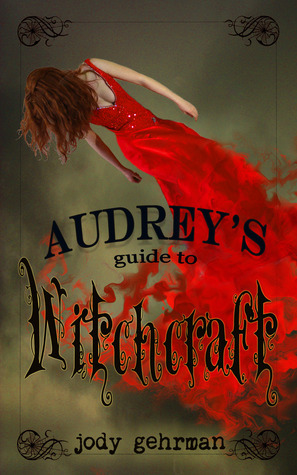 Do you have any questions about Audrey's Guide to Witchcraft that I haven't addressed? 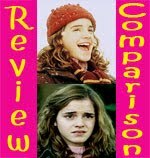 This review contains spoilers for the previous books in the series. Haven't started the series yet? Check out my spoiler-free review of the first book Touch of Frost instead! I enjoyed every second of this book! I can't even put my finger on exactly why I love the Mythos Academy series so much, but I do. It's my ultimate comfort read. It's like putting on a cozy sweater, curling up on the couch, and having a marathon catch up session with my best friend. I was happy with Crimson Frost from page one and it just kept getting better and better. Even though everything I wanted to happen didn't actually happen yet, I almost don't even care. What I got was perfect. Are all my favorite characters back? Well, no, because one of them is DEAD. (Do I sound upset? Who, me?). But, other than that, yes, everyone makes an appearance. Sadly some make less of a showing than in previous books (Daphne where were your sparkly fingers for most of the book?!) and Grandma Frost doesn't bake nearly as much as my stomach wanted her to (though my waistline thanks you, Ms Estep). However, I forgive whatever quibbles I may have about wanting to spend more time with these characters because Vic makes up for it all. He gets ALL the points in the world! I've always loved his snarky, bloodthirsty side, and the ante-upping of the previous book gives him a lot of opportunities to goad Gwen into enthusiastic violence. Plus, he has a rivalry with another talking sword (we hate her!) and I seriously can't get enough of their verbal sparring mixed with Vic's snide asides to Gwen. But, as the previous book showed, Vic isn't all blood and guts. He has a softer side, and it comes out SO adorably in Crimson Frost. His relationship with Nox's little baby wolf is out-loud-awww-inducing and there is a particularly touching scene between Vic and Gwen that nearly broke my heart with bitter-sweet love. No! While it does seem a little like a diverting tease because I really do want to see Gwen battle Loki already (she doesn't, not yet anyway), I can't accuse Crimson Frost of being a filler book. Stuff happens, from page one. There's a trial and a new mythological creature and lots of bloody battles! Plus, other stuff. As per usual, there's a mystery threaded throughout the story and Gwen is up to her usual sleuthing. I love that she sleuths. Even more importantly, I love Gwen. Crimson Frost reaffirmed why I love her so much. She's strong, resilient, inquisitive, loyal, and determined. But, she's imperfect. A lot of this book was Gwen doubting herself and wondering if she did the right thing and if she can actually do what Nike believes she can do. Normally I'd be all, "Quit yer whining" about a character getting down on themselves, but not here. Gwen doesn't throw herself a pity party. She asks legit questions and honestly analyzes her actions. She has real reasons to doubt and I think it was important to the book and her character development for her to explore those questions. She didn't come across like a whiner at all. Her doubts only made her seem more endearing, real, and admirable. 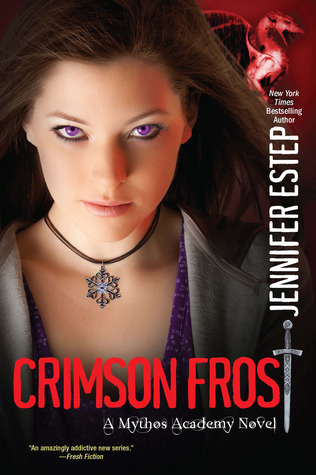 So, much as I'd like to get to the final battle, I appreciate that Jennifer Estep isn't skipping ahead. These steps along the way are important and I think they make for a stronger series overall. My one quibble with this series has been Gwen's repetitive recapping everything. I find it endearing because it's a part of what makes Gwen, Gwen, but it was always something that stood out and pulled me out of my reading experience. But that didn't happen in Crimson Frost! There was just enough recapping so I knew where I was and what had happened in the previous books, despite my bad memory (it has been about seven months since I read Dark Frost), but that was it. When is the next book coming out?! (Well, August 2013, so what I really mean is, why can't I have it now?!) The end is a pretty big cliffhanger. I mean, ok, fine, no one is actually dangling from a cliff and the book ends pretty much the way all the other books ended before where the main gist of the story is wrapped up but the overarching Loki storyline is still wide open and gearing up for even higher stakes. But, I don't want to wait. I love this series. Do you have any questions about Crimson Frost that I haven't addressed? 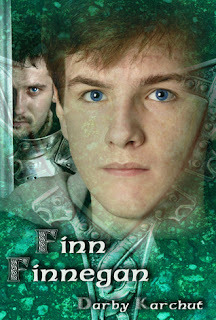 Click on the covers to go to my reviews/Goodreads. Eligible Books: Complete the reading challenges I've signed up for. Well, I've already signed up for 6 challenges, so I still qualify as an addict! Have you signed up for this challenge? What level are you going for? 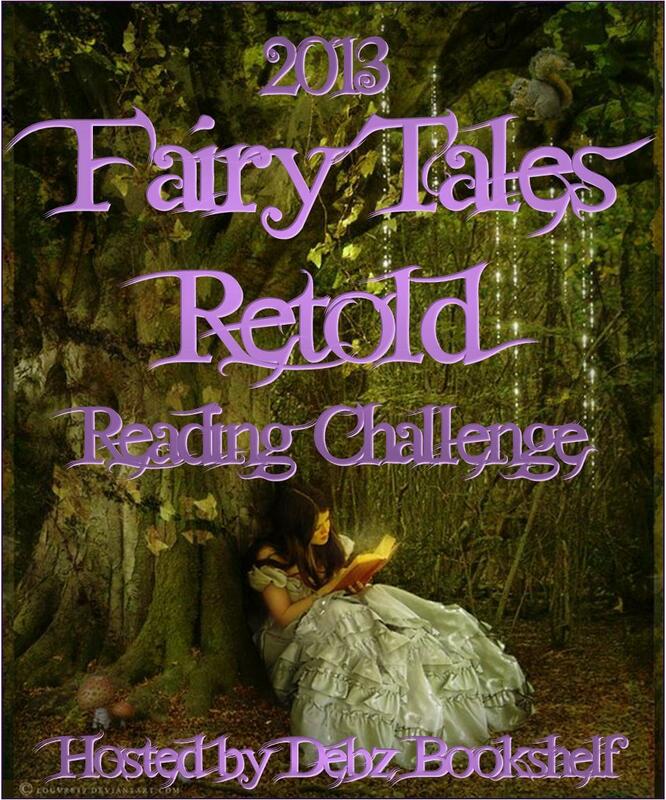 Eligible Books: Fairy tale retellings! Or original fairy tales. Because I am a fairy tale addict. Also, because I like Debz and her blog. AND, because I participated in this challenge last year, and failed terribly. 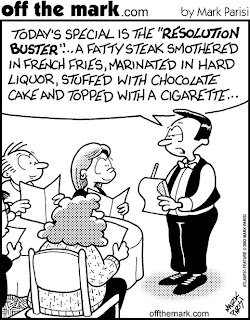 I'm determined to fix that in 2013. Fairy tales on my Retellings Goodeads shelf. Added bonus if I read books I already own. Have you signed up for these challenges? What books are you planning on reading? Do you have any suggestions that I absolutely MUST read? 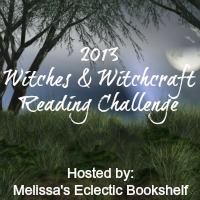 Eligible Books: Any book that contains a witch as a main character or witchcraft elements. Prizes? Yes! But only if you link your reviews. Because witches are awesome! But mostly because I like Melissa and her blog. Have you signed up for this challenge? What books are you planning on reading? Do you have any suggestions that I absolutely MUST read? Eligible Books: Books I have been meaning to read for a long time, but still haven't read. I WANT to read these books, but I always push them aside for some reason. NO MORE! I chose 15 books since that's my goal for the Off The Shelf challenge, but I wonder if I'm not reaching too high. Have you signed up for a similar challenge? What books are you planning on reading? Do you have any suggestions that I absolutely MUST read? Eligible Books: Books you own prior to 2013. I will also personally count books I acquire in 2013 toward my own personal goal of making sure I read all the books I own. Levels: 7. I'm going to try for the second level of 15 books. Because I am terrible at actually reading the books I own. I think 15 is a lofty goal and I actually don't think I'll accomplish that, but the first level of five books felt like taking the wimpy way out. Plus, I have this goal for a reason, and reading only five books doesn't really satisfy that reason. Besides, last year I ended up reading 13 books for the challenge, so hopefully I can at least come close to replicating that. I'll be happy if I tackle at least seven previously owned books and 15 books I acquire in 2013. Have you read any of these books? Do you have any suggestions that I absolutely MUST read? 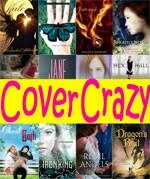 Eligible Books: Book recommended from YOU in the If I Like...Court Fantasy post. Feel free to add more suggestions here or on that post! Levels: N/A. I'm going to set a personal goal of 6 books. Because you all recommended such great books! I love the genre and there really is no reason I've pushed off those books for so long. Bonus goal: I want to read books that have been on my TBR for a while. Books from the If I Like...Court Fantasy post. Anyone want to read along with me? Nothing formal or fancy! Hosts : Don't know. YA Bliss hosted last year, but I don't know if she's doing it this year. Eligible Books: Read YA or MG historical fiction books. I'm going to include adult books. I seriously want to increase the number of historical fiction books I read. I love the genre, but I'm always pushing it aside in favor of fantasy and paranormal books. I ended up reading 9 books out of a goal of 15 last year, so I'm hoping I can at the very least accomplish six. Bonus goal: I want to read historical fiction books that have been on my TBR for a while. Books from my Goodreads shelf. Even though it's sort of cheating, historical fantasy has been accepted for this challenge in the past, so I'm going to allow myself to include historical fantasy again, as long as the historical parts are strongly integrated and not just a loose backdrop. I don't want the majority of the books I read to be historical fantasy. My goal is really for straight up real historical fiction. 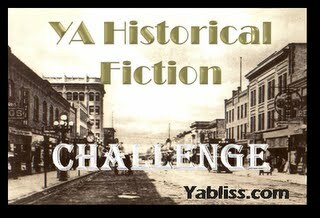 Have you signed up for a historical fiction challenge? What books are you planning on reading? Do you have any suggestions that I absolutely MUST read? Click here to see my previous indulgences. All I really needed to read was,"An electrifying paranormal thriller that will have readers guessing till the end! "because I am totally up for that! 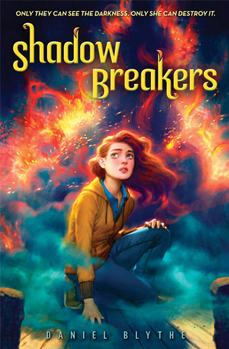 I haven't heard much buzz about this title yet, and I'm not sure where it falls on the MG/YA continuum, but I have high hopes that all that swirly magic looking stuff and scared expression on the MC, combined with "action pose" means Shadow Breaker will be a lot of fun. Requested and received from Scholastic. Plus, a blonde witch learning how to use her witchy powers never fails to make me think of Sabrina the Teenage Witch, and that's always a good thing. Ok, so clearly I loved the first book, so is it any wonder I'd do just about anything to get my hands on a copy of the sequel? Lucky for me, Scholastic didn't require any of the high stakes bribes I was totally ready to offer. And even though I'm a little scared to read it (this IS a sequel, after all), I'm pretty confident Jennifer A. Nielsen won't let me down. The Mob meets middle grade in this hilarious series that never fails to disappoint. 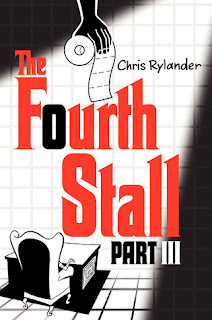 I'm glad to see Chris Rylander extending the series, and given the self-contained nature of each installment, I hope he continues writing many more. Pitched and received from publisher. Goddess Girls! 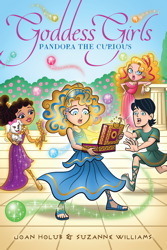 This is the first book about Pandora and I can't wait to see things from her perspective. She's a peripheral character, and while not as personally interesting to me as Medusa, I do love getting to see a story from a different point of view. I'm also really looking forward to seeing what hijinks happen after she opens the box! Pitched and received from author. I've been waiting for this series for so long! Pitched to a slightly younger audience than Goddess Girls and seemingly attractive to both boys and girls, I have super high hopes for these books! I consider this series my comfort read. It makes me happy and I love spending time with Gwen and her friends. The events at the end of the last book really kicked things up a notch in the peril and sadness department, and I hope things get better for Gwen in Crimson Frost. Pitched and received from author and publisher. I liked Darby's Griffin Rising enough to want to check out what else she had to offer. Her upcoming Finn Finnegan sounded super appealing with its mentor/student relationship (Darby writes these wonderfully) and it's MC with attitude (love guys like that!). Lucky for me, I now have a copy to review! I adored the first book Touch of Power so, so much and I've been counting down the days until I could get my hands on a copy of the sequel. That journey was anything but smooth. I mostly wrote off the idea of requesting an ARC because, well, because I'm shy! So I figured I'd track it down when it came into the library. BUT, then I saw it on NetGalley! But then I saw it was the UK version and I am not a UK resident. But I figured, well, why not just try requesting? I'm getting more ok with the idea of rejection anyway. But I wasn't rejected! After making awkward noises of surprise and excitement upon opening the approval email, I quickly clicked over to NetGalley so I could drop everything and start reading. Except, there was only a Kindle button. And I don't have a Kindle. Fighting back tears (ok, not literally, but close!) and mustering up my courage, I sent an email to the publisher asking if there was another format available. And I heard nothing back. I had pretty much given up on the idea of getting to read this book anytime soon when I decided to check the NetGalley page just one more time. SUCCESS!! There was an Adobe Digital Editions button this time! Now, here's hoping the book is filled with as much adventure and emotional turmoil as the process of acquiring the book. Requested and received from the publisher, via NetGalley. Even though I already have both of these in e-book format, I'm a paper-copy girl. When I saw Lisa was releasing these together in hard copy, I knew I had to buy it. Added bonus? I'm blurbed on the back!!! (Another bonus? BOTH guys look fantastic). What did you get this week? Are you interested in reading any of these books? What did you think of them if you've read them already? So, 2012, how did I do? As far as challenges went, not too bad! Considering. Though this is purely coincidental because after the first few months I pretty much gave up on even thinking about them. I was way too busy and disorganized to post my reviews on any of the link ups or enter any of the monthly giveaways (or even end of the year giveaways). I did try to keep up with at least recording things on my own blog, but that mostly happened in a few big catch up sessions after letting things build up for a few months without updates. I was also frequently confused as to whether or not a book actually counted for a particular challenge (is this a fairy tale or more of a fantasy??) I seriously over-think things too much (I'm terrible at multiple choice tests!). So, all in all, I didn't do very well with my challenges, even though I did manage to finish a few. Though I'm particularly happy with how many books I read for the Bucket List challenge and the Off The Shelf challenge, since reading older books is an area I tend to neglect (I'm so easily distracted by all the bright, pretty new books coming out!) Of course I didn't read many of the ones I actually hoped to read, but shhh, let's just not speak of that. 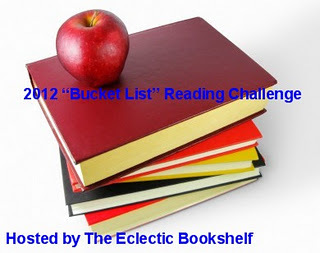 You can click on the links to see the specific books I read for each challenge. Joan Holub and Suzanne Williams made this challenge a breeze. I almost feel like I cheated on this challenge though, considering 7 of the ten books were tiny MG books. I wish I had read more varied YA. I'm pretty shocked at this pitiful showing. I'm usually so into fairy tale retellings. Was this not as big a year for them, or did I just miss out on a bunch of great new books? Woohoo! I'm super happy with myself on this challenge. And surprised. Very surprised. Bigger surprise is that I actually own 14 of these books (I'm especially neglectful of my own books). Wow, I'm surprised with myself! Usually I'm pretty reluctant to read contemporaries because I have a hard time believing a book can be engaging without any magic or historical features. I had mixed results with these. I think, for me, a lot has to do with the author. I loved four out of the eight and liked the other four, so not too bad. I even managed to read all but two of the books on my goal list for this challenge (one I haven't been able to get a hold of, the other, erm, I own). Well, this one didn't work out so well. All but one were review books, which I kind of figured would end up being the case. I don't really like reading on my computer, but this challenge did make me realize that I DO like reading them when I'm blow drying my hair (hands free!) and at night when the lighting in my bedroom is dimmer. YA/MG Fantasy Challenge: Finished! Maybe? No? 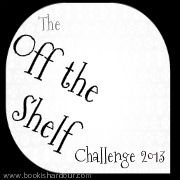 I counted 20 books for the challenge before I realized the challenge only included fantasy books released this year. So the impressive showing I thought I had (20/10!) really isn't quite so impressive. I'm not sure if I finished this or not, and after agonizing over the question of, "Is this a fantasy? Kinda? Technically no? Yes?" I decided to throw in the towel. I'm not sure how to calculate this one. I finished three series this year (4 books) that I had started prior to 2012, and I know those three count for the challenge and meet my goal. The others though? I don't know. I read 12 books that "completed" the series as far as published books are concerned, but the series are still technically ongoing. I also started and completed three series in 2012 (9 books). I totally failed when it came to my tentative goal books, but all in all I'm pretty happy with this. I definitely did great with this challenge. I bought 12 of the books I read this year. The rest came from various free sources (library books—those don't count for the challenge, ARCs, gifts, and prizes). I feel pretty thrifty (even though I did go out and buy a lot of the books I read after I read them). What an embarrassing result. I would feel more ashamed of this if I didn't have a pretty good excuse. See, I moved this year, so for a big chunk of months I was on the road, unpacking, and then did not have a library card. I also had to play catch up with a lot of review books, so while I did physically pick up books from the library, I had to return a lot unread. Not bad! I'm counting this as a personal win because usually my showing would be something more like 2, not thirteen. Not only that, but I managed to knock out 39 books that I acquired in 2012, and while those technically don't count for the challenge, I'm relieved they won't be fodder for next year's challenge. I was SO close! I stuck with a lot of new authors and tried and true authors of whom I've read a whole lot already, so there wasn't much room for this category. Even the few books I'm reading now and may be able to finish before the year is up are either new-to-me authors or my third+ experience with the author. So it doesn't look like I'll be able to pull this one off in time. It would have been six if someone hadn't stolen picked up Hallowed from the library right before I could get it (I'm STILL on hold for it!) There were a few others I really wish I could have gotten a hold of (like Crown of Embers and Dreamless), but I have no excuses for why this is such a small list. On a positive note, I really enjoyed all of the second books I did read, so I'm twisting my failure here into a win for the "quality over quantity" argument. Wow, this was a total failure! I ended up crossing off one of the potential books from my goal list due to negative reviews (or, at least reviews that made it seem like it wasn't a book for me) and another series that I own I had to leave in storage when I moved. Still, I just did straight up poorly with this one. I wish I had done better with this challenge, but hey, I finished on the low end! Unfortunately, a lot of the books I had planned on reading were available in my old library but not my new one. The Rachel Hawkins series IS in my new library, but I've had a heck of a time trying to get it (someone ALWAYS has book 2 checked out!). I'm also counting Beautiful Creatures for this challenge even though I know they're castors and "don't like to be called witches" because, please, they're totally witches. I'm SO disappointed with this! I really want to read more historical fiction, but somehow I always push it aside in favor of fantasy and paranormal books. I was hoping this challenge would help, but I guess my old habits die hard. 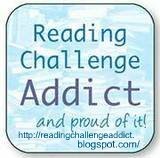 I'm not even sure if a few of the books I did read count for the challenge (an adult book and Something Strange and Deadly). Well, clearly I set the bar too high! Next year I'm definitely going to restrain myself when it comes to signing up for challenges. I do think my move and new job had a lot to do with my poor showing though. If I hadn't been so busy, then I'm confident I would have been able to knock out at least a few more challenges and I know I would have paid more attention to which challenges needed my attention. You'd think I'd have learned from last year's challenge disaster, and I have! I swear. At first I was going to abandon the idea of entering any challenges this year, but after recapping my 2012 challenges I realized I'm way too challenge addicted to do away with them completely. Plus, I really do want to accomplish some of my long-standing reading goals! So, keep an eye out in the coming days for my challenge posts! 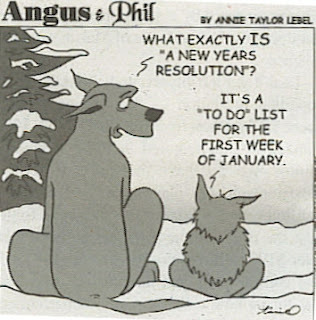 I'm going for a targeted approach and I really, really hope 2013 is a successful challenge year. 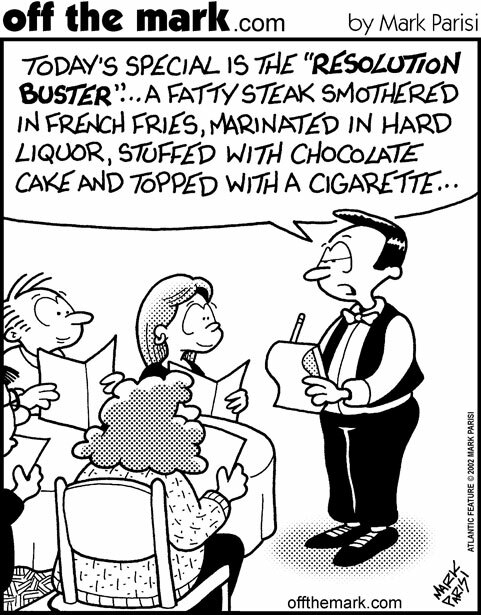 I fully intend to carry on MY resolutions through at least March. As far as the blog in 2013, you can expect much of the same as has happened in the latter part of 2012. Unfortunately, I'm still really busy! So my schedule will continue to be a little looser than it was before my move. Given my time constraints, I will not be hosting a Busting the Newbie Blues this year. The event takes a ton of time and effort, and I don't have the ability to commit fully to such a project right now. I felt like I let the 2012 newbies down by not being as involved as I wanted to be, and I don't want to do that to 2013's newbies. I tossed around the idea of hosting anyway so newbies at least had a central place to link up and mingle, but I don't like doing things partway. Still, I'm on the fence. Let me know what you think? 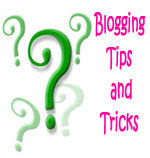 On a brighter note, I DO fully intend to keep blogging through 2013! You can expect to see at least one post per week, though I will strive for more than one as time permits. I will be taking a page from Bookworm1858's "no frills" approach, so most posts will be reviews. I don't want to abandon my other features though, so you will see some Discussions, Spotlight Lists, Blogging Tips & Tricks, Cover reviews, If I Like..., and Review Comparisons thrown in throughout the year as well. I would really appreciate some feedback on which posts you prefer to see, so I can direct my efforts toward your favorites. If you don't mind taking a moment to fill out THIS FORM, that would be SUPER helpful! It's anonymous, will take only two seconds, and you can select multiple options. Thanks for sticking with my through this bumpy year! I can't even express how happy it makes me that you've stuck around and continue to read and comment on my blog. I'm so looking forward to spending 2013 with all of you! 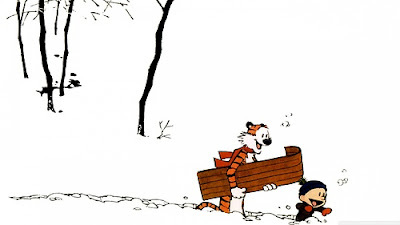 Ready for some 2013 fun? How did you do on your challenges? What challenges are you signing up for 2013? Is there anything in particular you'd like to see from Small Review in 2013?